‘It’s the summer of tablets and smartphones in Silicon Valley. On the heels of Microsoft’s Surface tablet event, Google launches their own 7-inch Android slate. Analysts expect Amazon to follow suit with an updated Kindle Fire – one that is more competitive with the current crop of devices. Unfortunately for both Microsoft and Amazon, Google set the bar relatively high with their new slate. Undoubtedly, the company is either breaking even or taking a loss on the Nexus 7. A Tegra3 quad-core processor, 1 GB of RAM, 8 GB Flash chip, and 1280 x 800 screen isn’t cheap. Amazon has proved they’re willing to sell a device at a loss, but is Microsoft? Regardless of what Microsoft says, their pricing on the ARM-based Windows RT Surface tablet isn’t going to be cheap. If the device stands a chance in the marketplace, it has to be less than Apple’s iPad 2, which starts at $399. 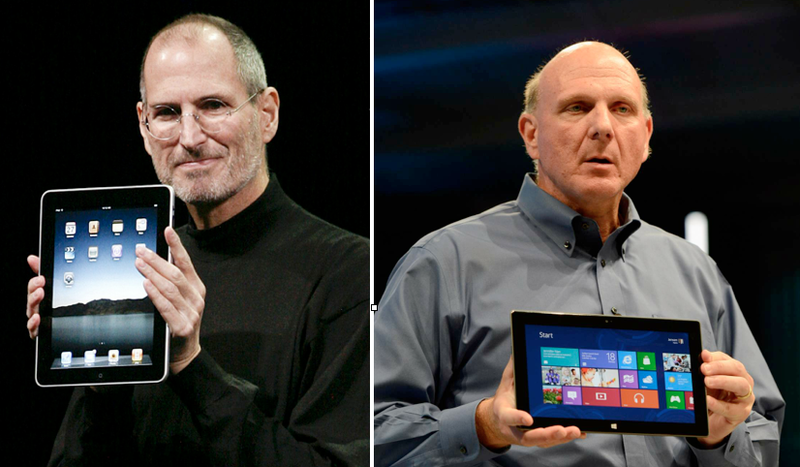 If the Surface is going to be the “Ultrabook” of tablets, we have serious problems. Ultrabooks are overpriced premium laptops and MacBook Air clones. Based on how CEO Steve Ballmer described the device, it is going for the premium build and feel. Unfortunately, no 10-inch tablet other than the iPad is going to fetch premium prices, as witnessed by the millions of Android tabs sitting on store shelves. If Microsoft has any brains, which they don’t, they’d sell the Surface for $450, which is less than the leading Android tablet but slightly more than the entry-level iPad. At this price, they’d likely break even, albeit with hairline margins, while improving market penetration in the business community. As someone who uses SharePoint and Office 365, I’d buy one for business use if the price was right. Greed will probably get the best of Microsoft, though. Few companies see the bigger picture. And unlike the iTunes Store or Google Play, Microsoft isn’t at a position to recover their losses through an app ecosystem yet. For the Surface to truly succeed it will need to be business-focused and “good enough” for CTO’s to deploy to their mobile workforce. Microsoft can’t compete with Google and Apple, but they can certainly beat ‘em by creating a device that is truly integrated with their enterprise and consumer Office features.